I am beyond excited to share the final looks from Leigh Emery's Broadway Lights The Night Gala that took place in July at the Bickford Theatre in Morristown, NJ. 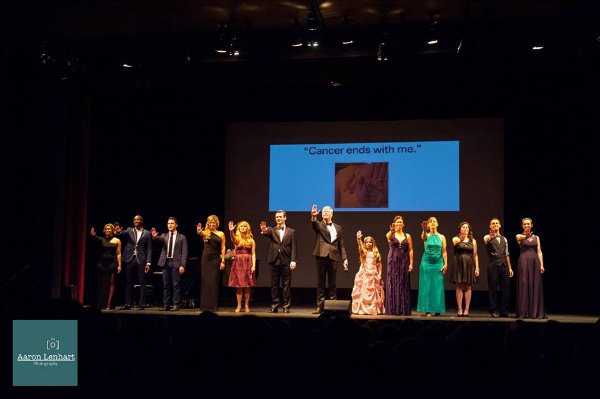 The evening was a huge success and the room was filled with inspiring cancer survivors and very talented musicians/artists/broadway stars. Each participant kindly donated their time to help raise awareness for the Leukemia and Lymphoma Society. To date, Broadway Lights The Night has helped to successfully raise over $75,000! If you are interested in contributing to help fight the battle against cancer, you may join us by clicking here. You might remember from the Style Series Part One post, I teamed up with Leigh to help style her for her big night! We decided to mix it up for the first and second act with two different dresses. Each look was super meaningful and Leigh looked like an ultra diva in both dresses. Find out why we chose each look below! A very special thank you to Aaron Lenhart Photography and Matthew Freidman Photography for their outstanding services, and to Karma for a Cure and Aaraa Accessories of Hoboken for the beautiful accessories. To create a jaw-dropping hollywood moment, I decided to place Leigh in this body-hugging crimson cutout gown by Narciso Rodriguez. This dress works great against her hourglass figure. I love how her blonde hair and blue eyes really pop! To finish the look, we styled her hair down with loose waves and a deep off-center part. 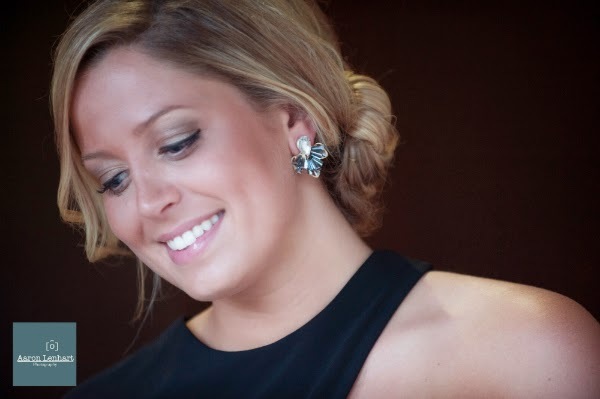 The drop crystal earrings were hand selected from Aaraa Accessories in Hoboken and they added the perfect final touch! Two words describe the style I put together for the second act- elegant but edgy. After the curtain closed from the first act, we rushed to the dressing room to re-work Leigh's look. We pulled back her hair into an oversized bun and loosely pinned it underneath. She looked fresh and fierce in this Cut 25 gown (we called it her 'Beyonce' dress). The major front slip allowed us to be playful with her shoes. We went for a strappy heel to give the ensemble an elegant feel. These shoes were given to Leigh by her Aunt that passed away, so they were very special to her. She felt comfortable and confident in them. Happy client = happy stylist! Once again, we kept the jewelry at minimum with the exception of these beautifully bold earrings from Aaraa. The classic metallic style makes a luxe statement! 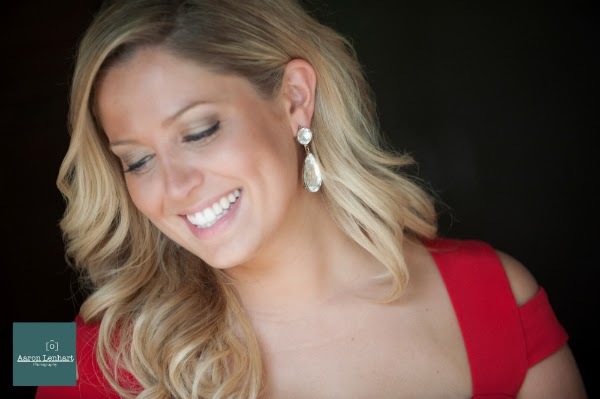 Leigh Emery with radio personality Danielle Monaro from the z100 Morning Show! Leigh's ever-so-adorable little sister, Brooke, embraced this season's boldest trend: lace and plum. This gown by Nicole Miller is completely eye-catching and ladylike. Plus, it doesn't hurt that Brooke has a killer body ;). To complete the outfit, we turned to Karma for a Cure's of-the-moment healing halo. Doesn't Brooke look like a vintagey goddess? I'm in love! All photography credit belongs to Aaron Lenhart and Matthew Friedman. Click on their names to view their portfolios! Circle up ladies! 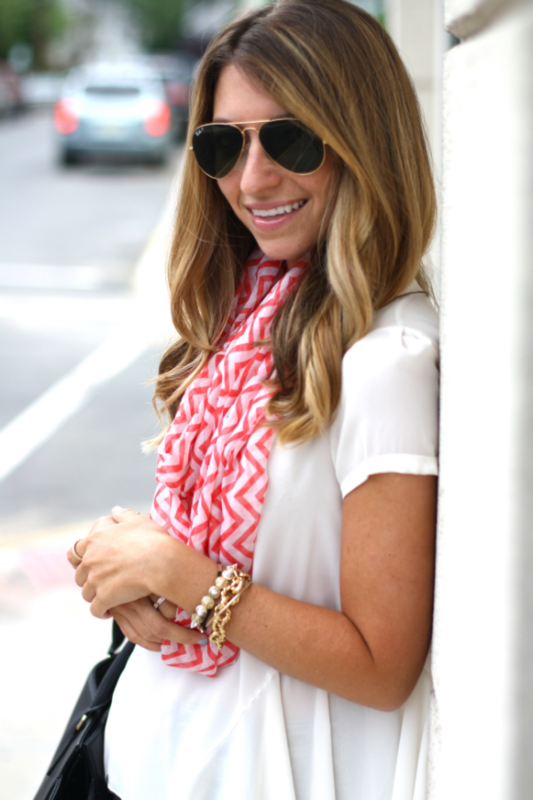 Adding a big and breezy scarf to your outfit is the perfect way to accessorize when the weather begins to shift. It's no secret that infinity scarves make the layering effect extremely easy to master. 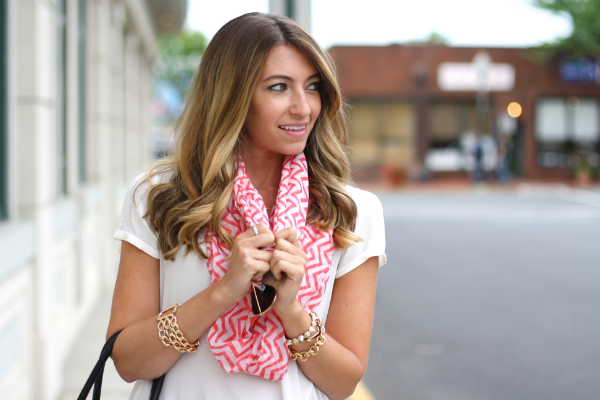 With the cooler temps just around the corner, it's the best time to think about updating your wardrobe with a few funky prints, like this adorable chevron scarf by Accessories In Style. 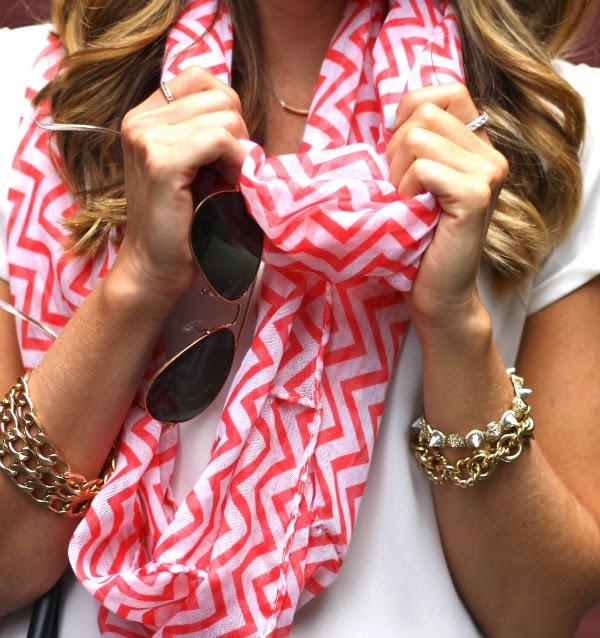 Infinity scarves tend to be easier to wear because the ends are already joined together. It's an incredibly versatile piece and the styling options are endless! 1- Wear it as a shawl or kimono by draping the entire scarf over your upper arm. 2-Loop it once. 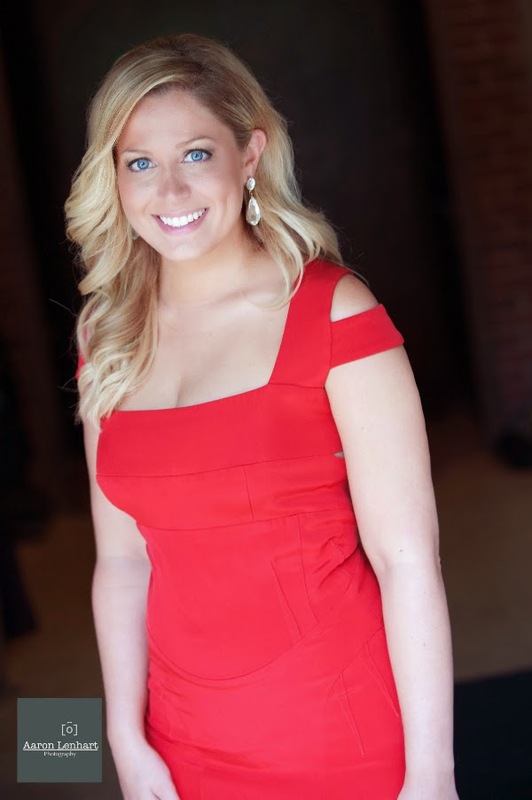 This style is ideal for outfits that have a low neckline. The single loop should drape fairly low in the front. 3-Knot it. Tie a knot towards the bottom and pair small layering necklaces on top. 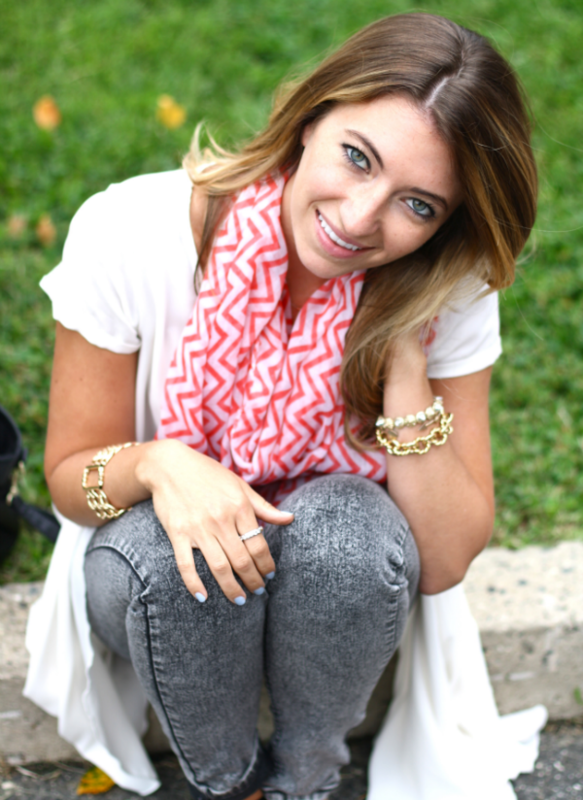 Shop more fun infinity scarves by clicking on the Mavatar button below! It's that time of year again...back to school shopping. 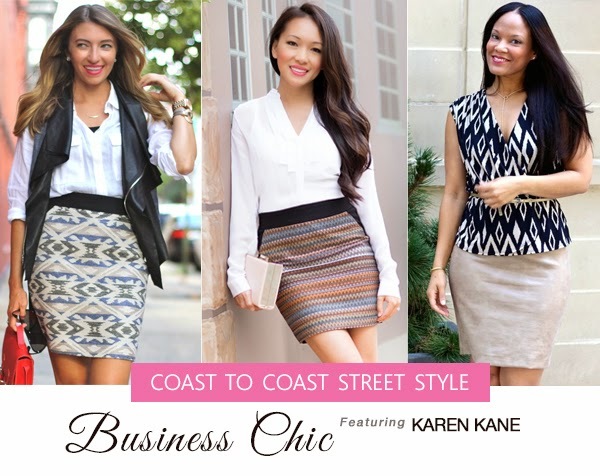 Whether you are an educator or 9 to 5 professional, the Coast to Coast Style girls (Alina, Johnnalynn and myself) want to make sure you look picture perfect going into the fall season. Just because you are not a teacher does not mean you can't indulge in the back to school sales to amp up your wardrobe for fall. However, we all know that spending hours at the mall, battling crowds of people, all while trying to hunt for stylish outfits at an affordable price can be stressful. 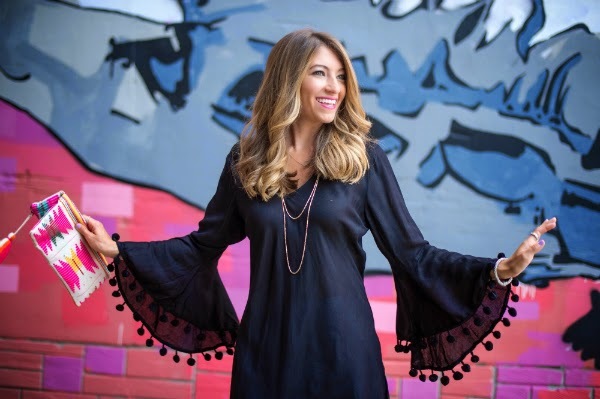 To help you streamline the shopping process, I put together one of my favorite business-appropriate outfits mixing in some of this season's hottest trends. This look features lots of layers and stylish basics. The fun doesn't stop there! Below, I'm offering up my top 5 essentials to help you kick off the fall season in style! These style tips also double as my back to school must-haves ;). 1. A Moto Vest. 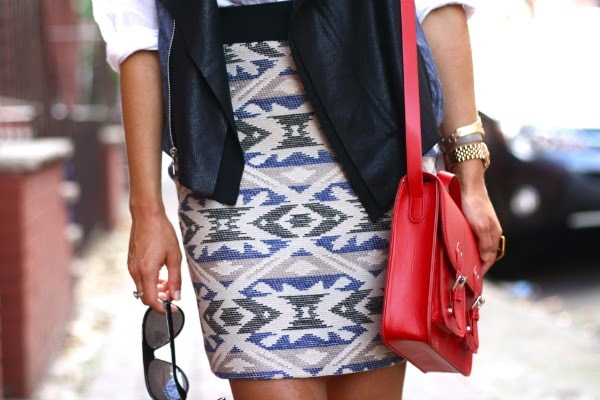 This is a great way to layer up a look, all while remaining stylish. 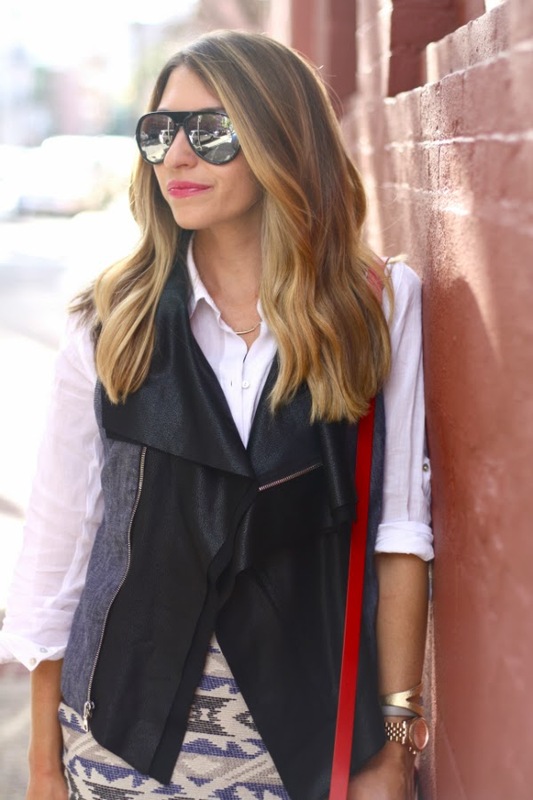 I personally love this contrast moto vest from Karen Kane. It features just enough "vegan" leather and a hint of denim along the sides and back. 2. Print It. 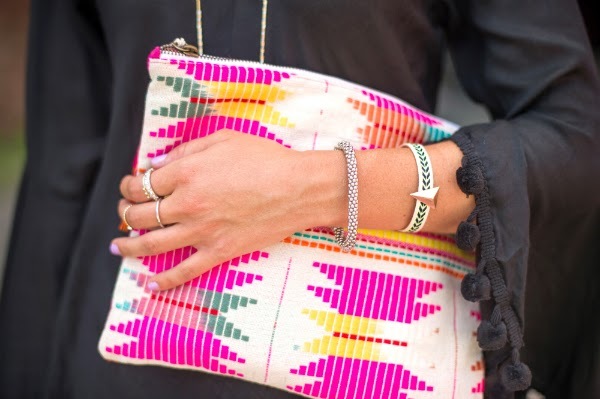 A classic tribal print never goes out of style. Mixing fun prints into your wardrobe is also a great way to keep your outfit fresh and modern.You can mix it up with a printed skirt (like this Sahara Jacquard skirt), dress, or blouse. There's no reason to be boring! 3. Booties. The only way to describe my love affair with ankle booties is by saying...they work well with everything. You can wear them with skinny jeans, skirts, dresses... you name it! 4. Button Down. There's going to come a day (like every Wednesday) when you just don't feel like putting much thought into your outfit choice. But that's ok! Just make sure you have a structured button down shirt laying around. 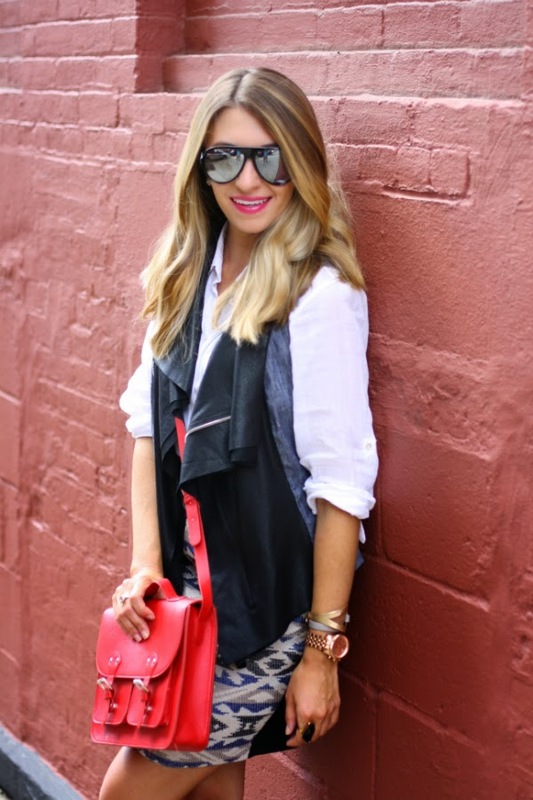 You can easily dress the look up with a statement necklace, or layer on a vest as shown in this post. 5. Denim, Denim, And More Denim. The hottest look for this fall is going to be an ombre effect of denim. You can pair your favorite dark wash skinny jeans with a light chambray top, or go bold and test out the "denim on denim" look as seen here on Olivia Palermo. Pair them with your favorite booties and viola, instant chic. If you are in a conservative work environment, then this style might not work as well for you. Instead, try adding subtle hints of denim by dressing up a denim jacket. So now that we talked about the essentials, let's go online shopping, shall we? Click on the below Mavatar button to shop through my favorite back to school looks. 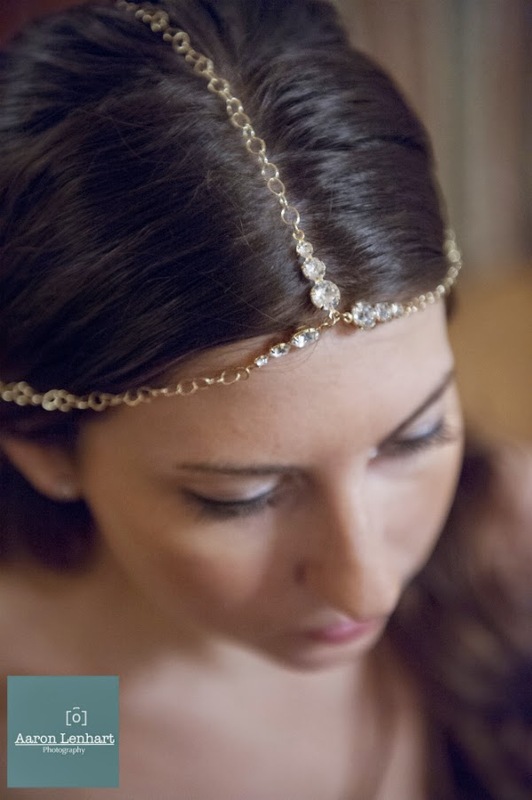 Looking to add a little flare to your style? 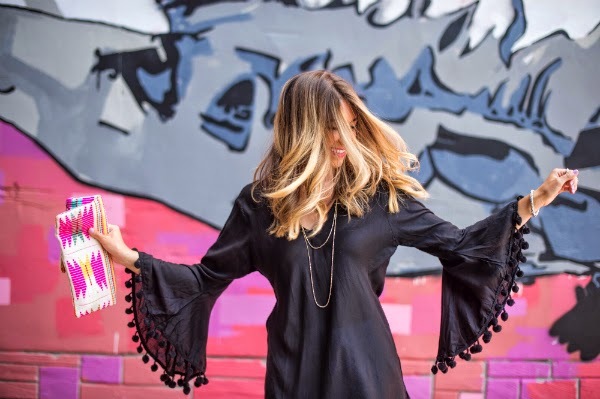 One of my favorite trends for this upcoming fall season is the trumpet sleeve, or more commonly known as the bell sleeve. Talk about a serious throwback to the 1970's! What exactly is a trumpet sleeve? The trumpet sleeve is a sleeve that gets increasingly wider from the elbow to the wrist. It adds the perfect amount of drama to any blouse, tunic, sweater or dress. I personally love how this tunic features an extreme flare (similar to that of a '70s bell bottom pant leg). The sleeves are finished off with little pom-poms. They really make the look magical. I felt so wizardly in it ;). The trumpet sleeve works well with almost every body type. It's one of the few styles that can be extremely flattering on your arms. What throw back trends will you incorporate into your fall style? As you can tell, the '60s and 70's will be at the core of my fall wardrobe!